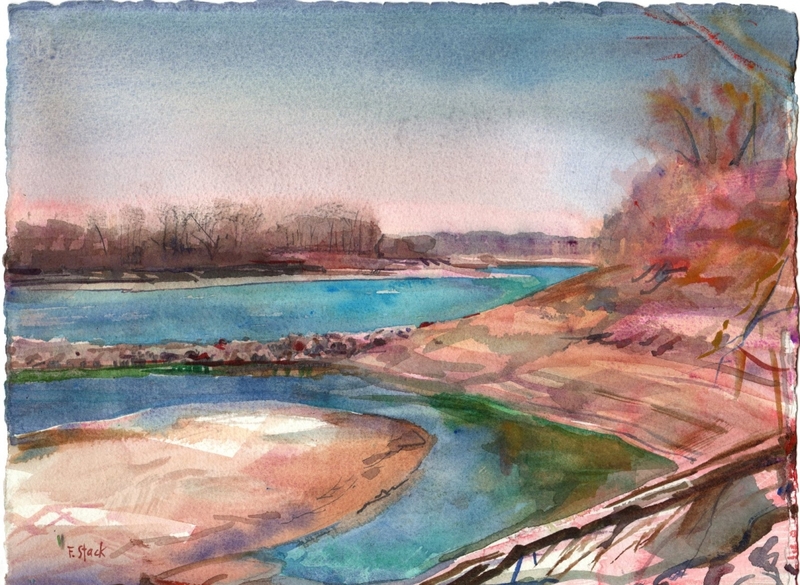 This original watercolor represents a winter scene painted from the bank of the Missouri river. The artist's impressionist style captures the transitory effects of light and atmosphere. Size: 11.25" x 15".